Fluffed sepia wings overflow the nest. The ground’s so far, my brave wee birds. Rock won’t give like down or flesh. Today, stay here and grow and rest. With dawn you’ll perch and lift your wings. Stretch muscle, feather, meet the wind. And dart and dazzle, earth unpinned. But dirt’s so hard, my sweet, young birds. Storm clouds soak the proudest crest. Tomorrow, not today, sweet birds. Tomorrow you can flit so free. Let your heart beat next to me. But also hungry, fierce, and wet. But I could teach you so much, yet. But snow’s no friend, and night’s too long. So I’ll enfold you with my song. I’ll love you, swear to soon set free. 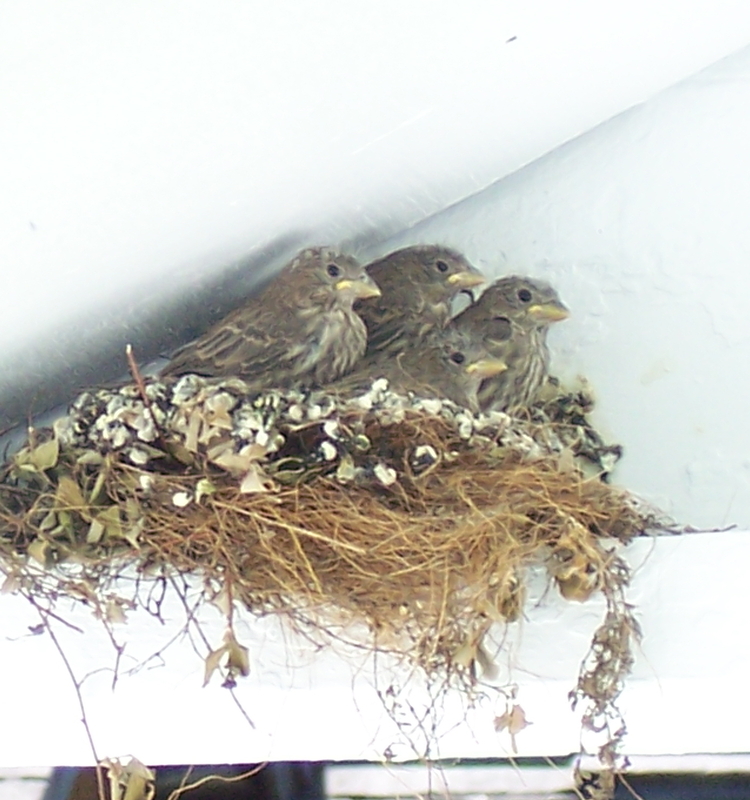 This entry was posted in Poetry and tagged birds, children, finches, lyrics, nest, parenting. Bookmark the permalink. read it on Facebook and now here. It’s even more beautiful the second time around. That’s kind of you, Gloria! Thanks. I had never really pondered the metaphor in the term “empty-nester” until recently. Now I find that it has a lot of rich layers to it, some happy and some sad. Parenthood continues to stretch and surprise me.